Are you familiar with the medical condition known as hemophilia? People who suffer from hemophilia have blood that do not clot properly. It is rare, hereditary, and occurs most often in males than in females. Moreover, it could affect the young as much as the elderly. April is World Hemophilia Month, and Blood Brothers Aid Inc., a non-profit organization based in the Philippines, aims to raise awareness about hemophilia in the country and to get more Filipinos to recognize the problem and help through blood or monetary donations. to some of her descendants. The blood of patients with hemophilia lack protein which is important in clotting. Therefore, wounds from injuries take a lot of time to heal. Usual symptoms of this condition include deep bruising, joint pain and swelling caused by internal bleeding, spontaneous bleeding (e.g. nosebleeds), or prolonged bleeding from cuts, after surgery, or even after a tooth extraction. Diagnosis is made through a blood test that measures the level of clotting factor activity in the blood. Image from the Blood Brothers Aid Inc. 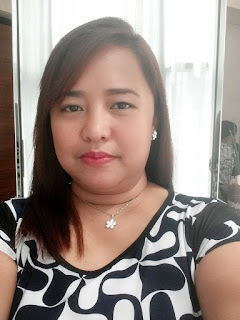 Here in the Philippines, hemophilia is treated by replacement therapy. Clotting factor concentrates taken from healthy blood is injected into a hemophiliac’s bloodstream. Once it reaches the affected area, bleeding is expected to slow down and eventually stop. This treatment has to be done shortly after injury so as to avoid further pain, as well as damage to the person’s muscles, joints, and organs. Become a Blood Brother and help support the needs of Filipino patients with hemophilia. 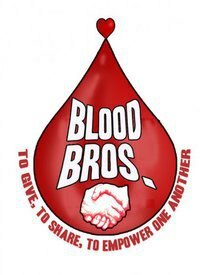 You can start now by joining the Blood Brothers Aid Inc. community through their Facebook Page (http://www.facebook.com/pages/Blood-Brothers-Aid-Inc/347564769650) The page will guide you in learning more about hemophilia, how to help, where to donate, and how to spread the word. Also, please don't forget to share the word about this cause by clicking the Facebook and Twitter buttons at the beginning of this post.